Saremo presenti a Lucca Comics and Games 2018 dal 31 Ottobre al 4 Novembre. Ci troverete al padiglione situato in Piazza San Donato. Vieni e partecipa al Torneo! Protresti vincere una copia gratuita di GRAL! Dai un’occhiata al nostro sconto speciale -20% su GRAL e altre incredibili offerte di merchandising! 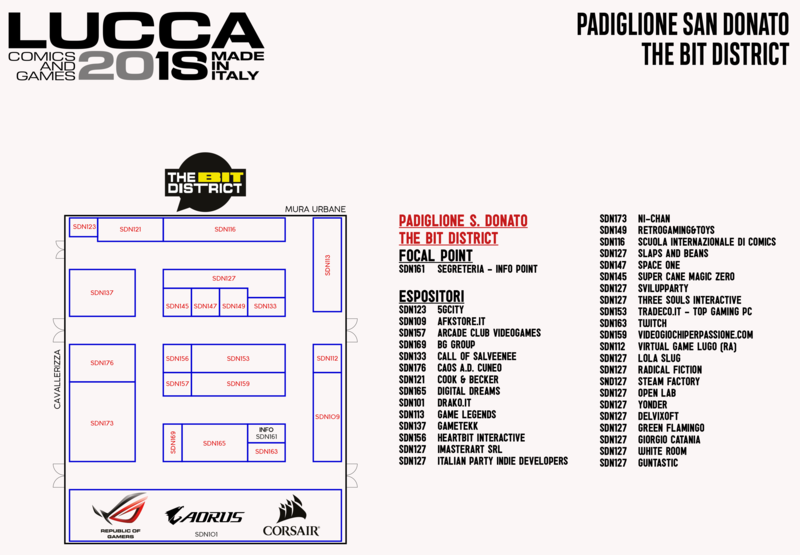 We will be at Lucca Comics and Games 2018 from October 31 to November 4. 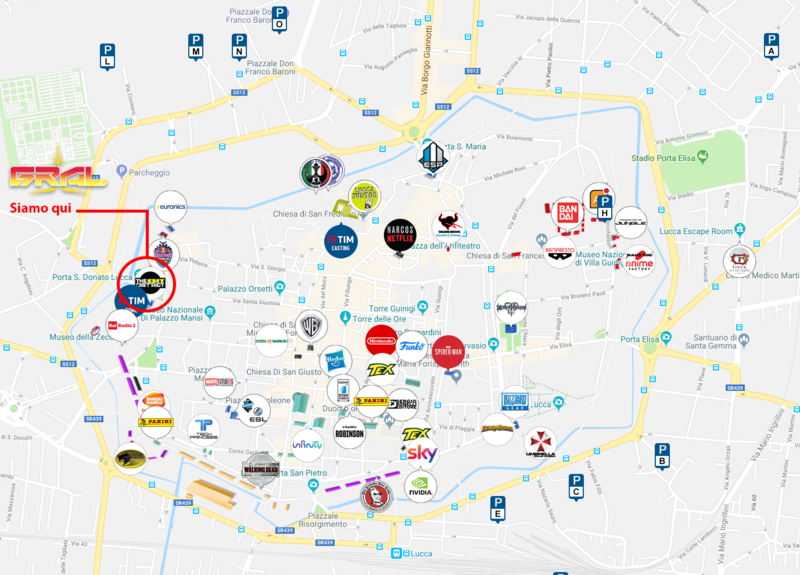 You will find us at the stand in Piazza San Donato. 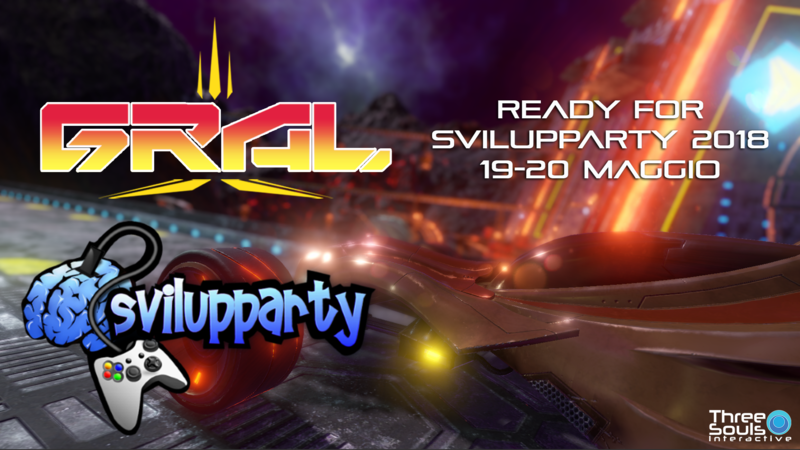 Come and participate at the Tournament and win a free copy of GRAL! Check out our stand for special -20% discount on GRAL and others incredible merchandising offers! There is a GRAL Closed Alpha just around the corner. In this post, you’ll learn the purpose of the Closed Alpha, what it will contain, when it will start, and who will be able to join. Why Are You Doing a Closed Alpha? The Closed Alpha will give selected players a hands-on experience of GRAL and, together with several other tests, it will be a way for us to stress-test servers and improve several aspects of the game, thanks to the participation and feedback from those taking part. As Closed Alpha participants get their hands on this early build, we will work to ensuring stability, balance, and more for GRAL as we work our way towards the launch. What Will Be Tested in the Closed Alpha? Quite a lot! Our tests can be divided into two main categories: gameplay and technical. Under the gameplay umbrella, you’ll find areas like the balancing of tracks, weapons, and vehicles to make sure that GRAL matches are fair, entertaining, and rewarding to skilled drivers. We will test the Link Sinc Drive System and make sure that the power-ups sharing system it’s giving a real cooperative help in the team gameplay mode. 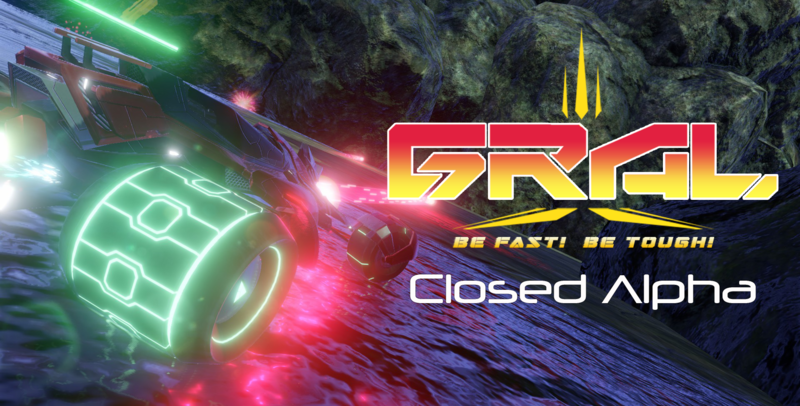 Through our technical tests, we’ll learn about what’s going on under the hood of GRAL played in a live environment. We’ll gather data about game server and backend connectivity while testing matchmaking functionality. Who Can Join the Closed Alpha? The GRAL Closed Alpha is restrictedto a closed number of players. It is designed for PC players, will be in English only, and will be available on STEAM only. Invitations with codes for the Closed Alpha will soon be sent to a small group of GRAL drivers. These codes can be redeemed in the STEAM client. When will the GRAL Closed Alpha be Live? The Closed Alpha will begin on July 24 and will be available for a limited time only. Note that these specifications are purely for the Closed Alpha and not necessarily for the final game. Can I Capture Video and/or Stream Gameplay from the Closed Alpha? Yes. Players are free to share footage of their Closed Alpha sessions, and there are no non-disclosure agreements in place. We look forward to your videos and constructive feedback. Where Can I Provide Feedback on the Closed Alpha? You can provide feedback on http://www.gralgame.com/forum. Thank you in advance for your comments and suggestions – we truly appreciate it. Keep in mind that the Closed Alpha is not representative of how GRAL will look like at launch. today if you want access to the GRAL closed Alpha and to receive the latest GRAL news, updates, behind-the-scenes content, exclusive offers, and more (including other ThreeSoulsInteractive news, products, events, and promotions) by email. Saremo presenti il 19 e 20 Maggio a Bologna al Svilupparty. Venite a trovarci per sfidare i vostri amici a Gral! Manca poco al LabroniCon! Vi aspetttiamo numerosi il 12 e 13 Maggio a Livorno Area Videogames nel piano superiore della Fortezza Vecchia. Vieni a trovarci il 12 e 13 maggio alla Fortezza Vecchia di Livorno! Saremo presenti per i due giorni alla manifestazione con quattro postazioni, per presentare il multiplayer a squadre di GRAL. Si svolgerà un torneo con in palio le magliette ufficiali di GRAL. 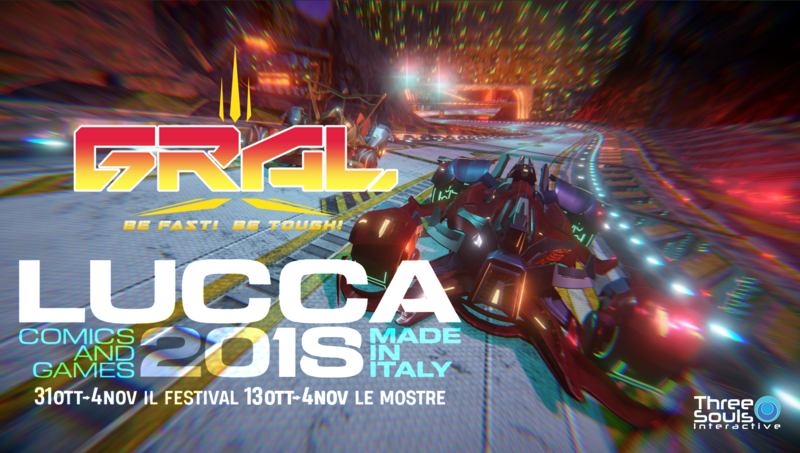 Three Souls Interctive era presente a Lucca Comics per presentare in anteprima il suo gioco in fase di sviluppo GRAL. Guarda tutta la galleria!